Back when Holly Holm was pitted against Ronda Rousey at UFC 193, Rousey seemed like an unstoppable juggernaut and was heavily favored against the former boxing champion. 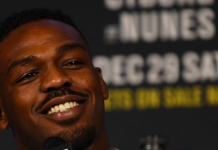 At UFC 219, the odds will be no different. No one can deny the dominance of Cris Cyborg, especially now that she’s in her proper weight class. 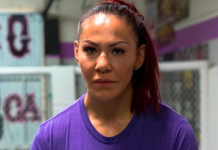 With a lack of contenders, it looks like Cyborg could be UFC women’s featherweight champion for a long time. That is, unless Holm has something to say about it. Miesha Tate recently weighed-in on the match-up and thinks Holm has all the righ tools to get the job done. “If Cyborg gets ahold of her and throws her down to the ground, obviously Holly’s in trouble. She’s in big trouble. But I can truly attest to how amazing Holly’s footwork is and just how difficult she is to get ahold of, how hard it is to do that. You really have to throw everything to the wayside just to try to grab her. I think I got two takedowns on her in our five rounds and I’m smaller. I think I’m a little speedier than Cyborg is even. Cyborg’s really, really strong but she’s not necessarily the fastest woman in the world. She doesn’t tend to shoot a lot out in the open so I think to press Holly against the cage or to overwhelm Holly is going to be a difficult task, I really do.” — Miesha Tate speaking on MMA Tonight on Sirius XM Rush. While Cyborg is a completely different fight than Rousey, she does have a tendency to bull rush opponents and quickly put them away. When Rousey couldn’t get Holly Holm down, this is the strategy that she employed to try and take her out and it didn’t go as planned. 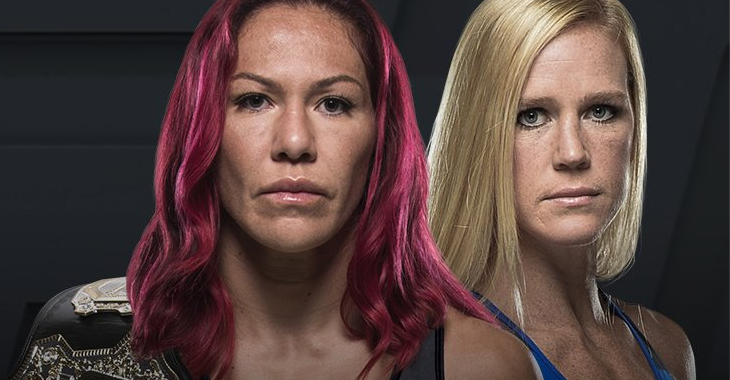 Holly Holm has great hands and elite foot work, if Cyborg underestimates her then we could get a huge upset. 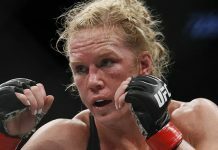 Despite Holm only having one win in her last four fights, if she manages to take out Ronda Rousey and then Cyborg, then she is without a doubt one of the best female fighters on planet Earth. We’ll have to wait until the end of the year to find out.